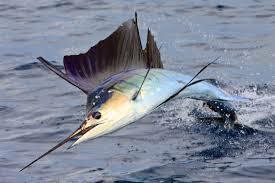 What’s the heaviest living bony fish in the ocean? 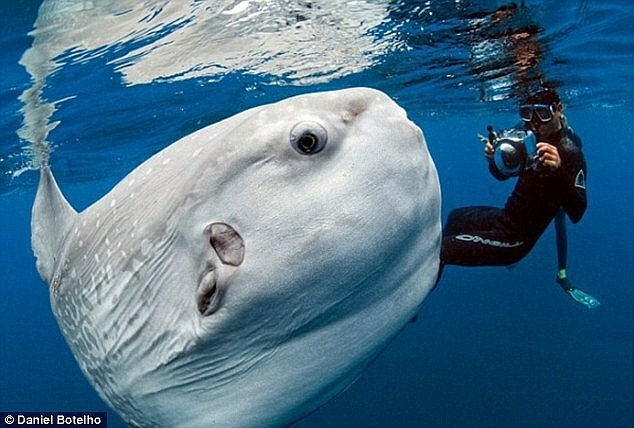 Ocean sunfish or Mola mola, have an average weight of 2,200 lb, but can reach up to 5,100 pounds. The sunfish has and average length of 5.9 ft and a fin-to-fin length of 8.2 ft, but specimens up to 11 ft in length and 14 ft from fin-to fin are not uncommon. What’s the longest living bony fish in the ocean? 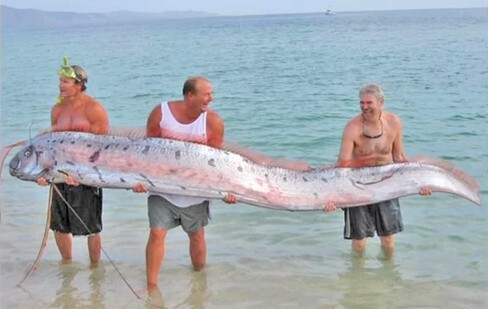 Giant oarfish are the longest bony fish alive; growing to up to 36 ft in length, their snake like body is thought to be responsible for the many mythical sightings of sea serpents recorded in history. What is the largest living fish? Whale Sharks are slow-moving filter feeding shark, the lack the furious jaws of their cousins, and are noted for being docile creatures. The can grow up to 46 feet in length and weigh upward of 66,000 pounds! What is the fastest living fish? 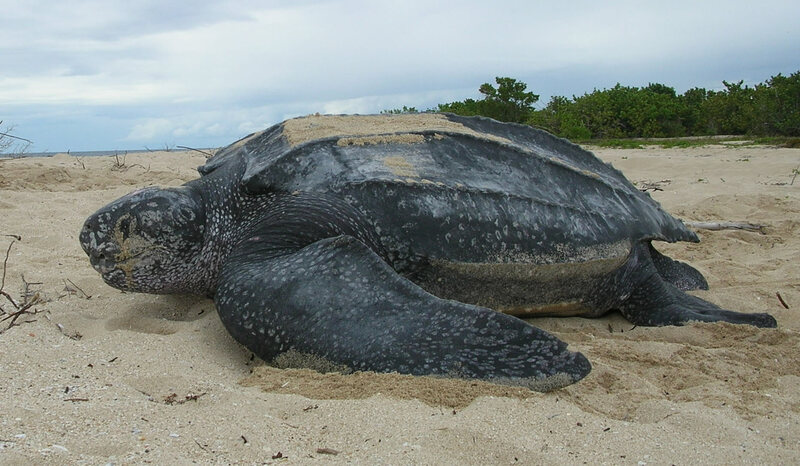 What is the largest living sea turtle? Leatherbacks are the largest of all living turtles and are the fourth-heaviest modern reptile behind crocodilians. Adults average 6.0–7.2 ft in total length, and 550 to 1,540 lb in weight. Blue whales are not only the largest marine animal, but the largest animals ever known to have lived on Earth. 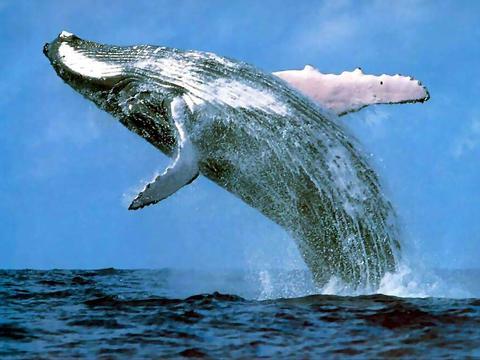 These animals can reach 100 feet long and upwards of 200 tons in weight. Their tongues alone can weigh as much as an elephant. They are also the loudest with a call that reached 188 decibels. 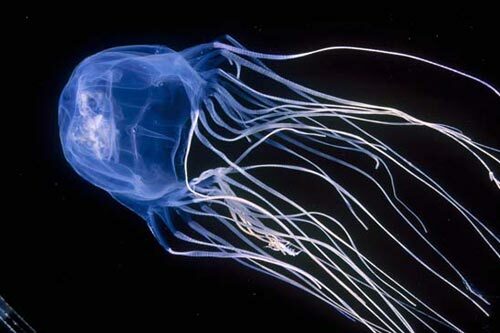 What is the oldest marine animal? 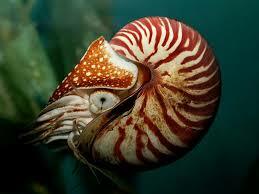 We may never be able to pinpoint this but the Nautilus is thought to be 500 million years old, Jellies 650 million years, and sponges are estimated at 750 million years old!